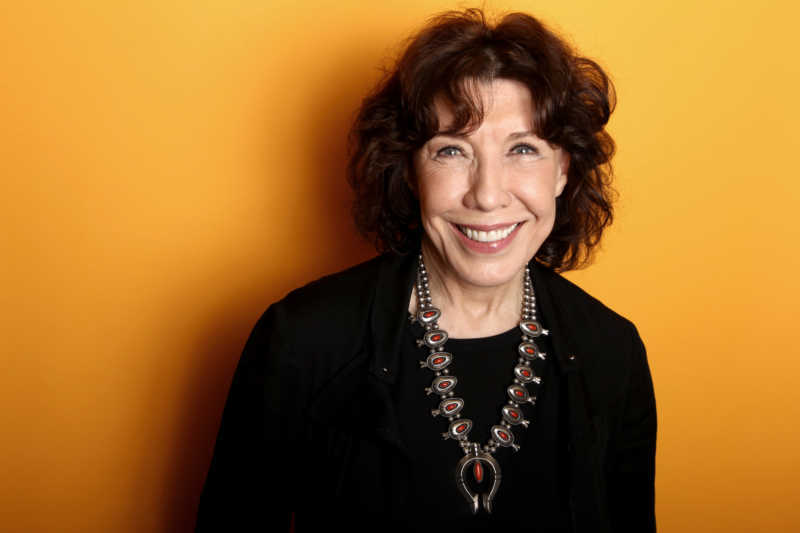 Mary Jean "Lily" Tomlin was born today, September 1, in 1939. She is an American actress, comedian, writer, singer, and producer. Tomlin began her career as a stand-up comedian, and performing Off-Broadway during the 1960s. Her breakout role was performing as a cast member on the variety show Rowan & Martin's Laugh-In from 1969 until 1973. She currently stars on the Netflix series Grace and Frankie as Frankie Bergstein. Her performance as Frankie garnered her four consecutive nominations for the Primetime Emmy Award for Outstanding Lead Actress in a Comedy Series in 2015, 2016, 2017, and 2018. In 1974, Tomlin was cast by Robert Altman in her first film; her performance as Linnea Reese in Nashville won her further critical acclaim and a nomination for the Academy Award for Best Supporting Actress. In 1977, her performance as Margo Sperling in The Late Show won her the Best Actress Award at the Berlin International Film Festival and nominations for the Golden Globe and BAFTA Award for Best Lead Actress. Her other notable films include 9 to 5 (1980), All of Me (1984), Big Business (1988) (1988), Flirting with Disaster(1996), Tea with Mussolini (1999), I Heart Huckabees (2004), and Grandma (2015). 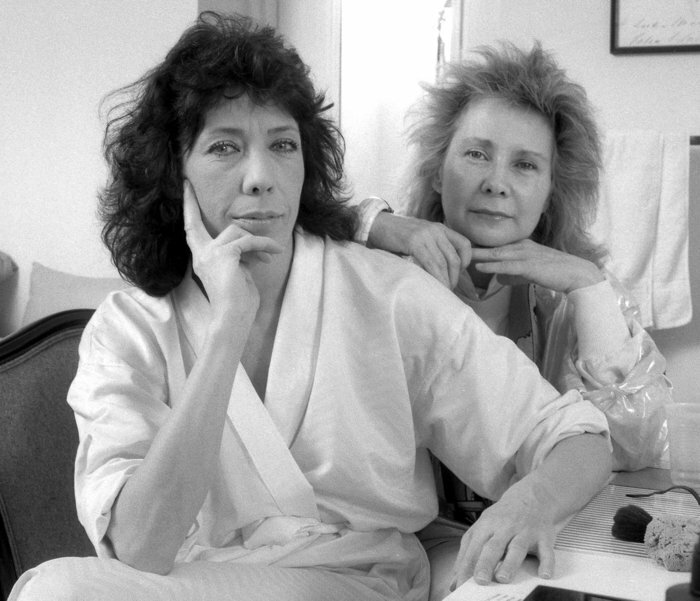 Her signature role was written by her then partner (now wife), Jane Wagner, in a show titled The Search for Signs of Intelligent Life in the Universe which opened on Broadway in 1985 and won Tomlin the Tony Award for Best Lead Actress in a Play. She is also known as the voice of Ms. Frizzle on the children's series The Magic School Bus. She won her first Emmy Awards in 1974 for writing and producing her own television special, Lily. Tomlin won a Grammy Award for her 1972 comedy album This Is a Recording. In 2014, she was given Kennedy Center Honors and in 2017 she received the Screen Actors Guild Life Achievement Award. Tomlin was born in Detroit, Michigan. Tomlin's parents were Southern Baptists who moved to Detroit from Paducah, Kentucky, during the Great Depression. She is a 1957 graduate of Cass Technical High School. Tomlin attended Wayne State University and originally studied biology. She auditioned for a play, and it sparked her interest in a career in the theatre and she changed her major. After college, Tomlin began doing stand-up comedy in nightclubs in Detroit and later in New York City. She continued studying acting at the HB Studio. Her first television appearance was on The Merv Griffin Show in 1965. 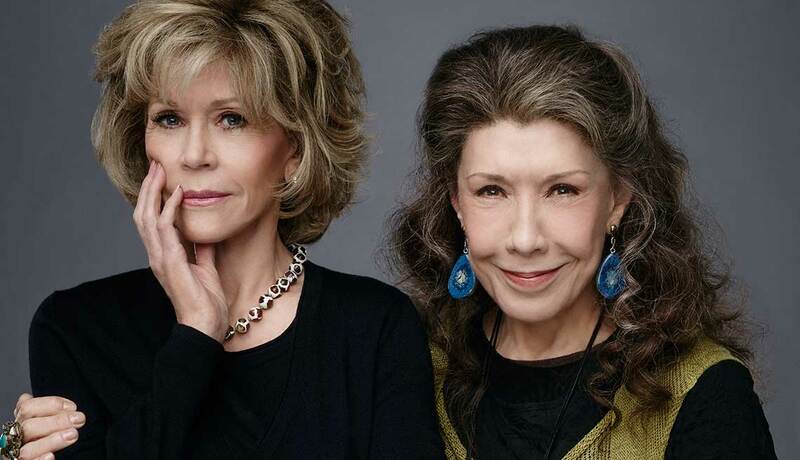 Tomlin stated in 2008, "Everybody in the industry was certainly aware of my sexuality and of Jane...in interviews, I always reference Jane and talk about Jane, but they don't always write about it." On December 31, 2013, Tomlin and Wagner married in a private ceremony in Los Angeles after 42 years together. Tomlin has been involved in a number of feminist and gay-friendly film productions, and on her 1975 album Modern Scream she pokes fun at straight actors who make a point of distancing themselves from their gay and lesbian characters—answering the pseudo-interview question, she replies: "How did it feel to play a heterosexual? 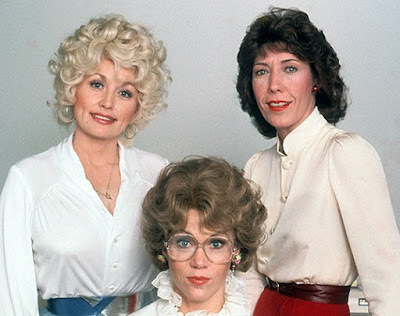 I've seen these women all my life, I know how they walk, I know how they talk..."
She's always been one of my favorites. I remember her well on 'Laugh-In'. I always used to like the act she used to to as part of her stand-up routine playing a woman who was incapable of finishing a sentence before it segued into another one, usually on a completely unrelated subject. Very funny, but I knew at the time it must have taken real skill to accomplish it with, apparently, so much ease. We don't see enough of our Lil! I totally love Lily Tomlin.